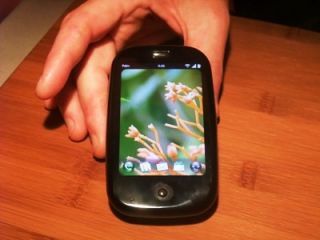 O2 has confirmed that it has had no problem with Apple over the forthcoming Palm Pre, despite rumours to the contrary. Many believed the network wouldn't pick up the device due to the ongoing patent dispute between Apple and Palm (given the network is the exclusive carrier of the iPhone in the UK), but O2 says there is no problem. "There's no conflict [with Apple], ultimately offering the most choice to consumers is a good thing. We're insanely focused on our customers, any other network marketer would say the same," says Jonathan Earle, Head of Consumer Marketing from O2. "You'd need to talk to Apple for any specific [problems] from them, but from our side offering the best range of phones is a great thing, as it forces everyone else under pressure to come up with better things in the next generation of phones." Many potential Palm Pre customers in the UK were dismayed they will have to wait until Christmas to get the device, but Dave Whalen, Senior VP of global sales for Palm, says it's down to the size of the operation and making sure everything is ready. "We're 1,000 people at Palm, not 16,000 or 8,000 like our competitors, so there's certain things we can't do. However, we're passionate about doing the launch successfully and about creating relationships [with our commercial partners] to do things together to be successful." "We can't give you any other answer than that," added Earle. "We want the message to be right and we think Christmas is a good time from a commercial and customer point of views, and we think that time is right." Earle also added that the Pre will be "competitively priced" compared to other devices in the range (ie the iPhone), but refused to be drawn on specifics. We'll have to wait for the exact date and pricing, so you'll have to hang on for more specifics. The good news is it's coming to the UK, but the bad news is it may be almost a year since the Pre was first announced, which can't be a good thing.